Happy Saturday friends! 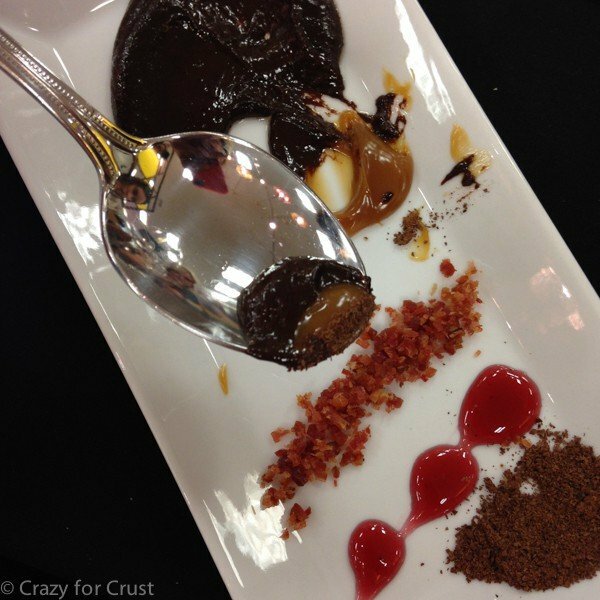 Today I’m talking about food in a different way…travel food! 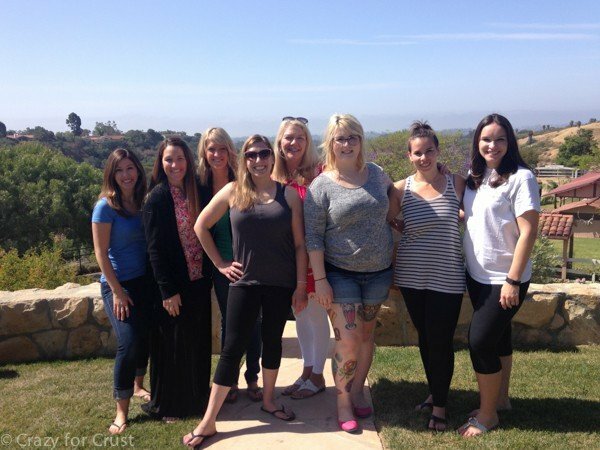 Two weeks ago I got the chance to spend the weekend with 7 other fabulous food bloggers in Santa Barbara, California. 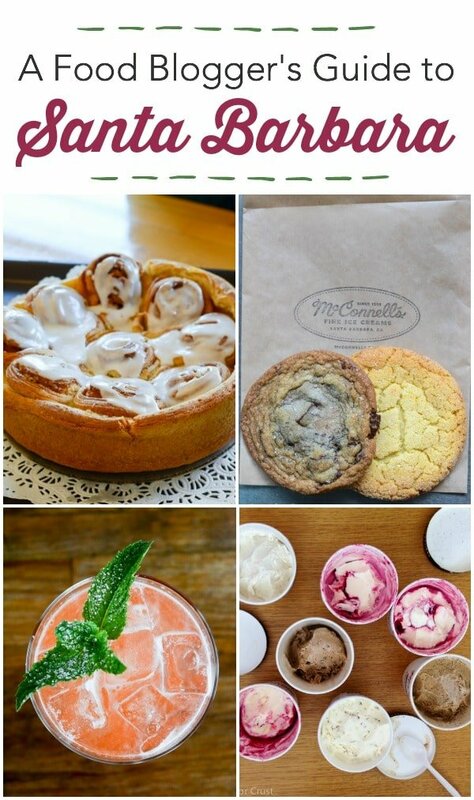 Today I’m sharing some of the fun things we did – and the fabulous places we ate! The #SBFoodieEscape was planned mostly by Julianne (Beyond Frosting) and Lindsay (Life, Love, and Sugar) and although they’ll say I helped I didn’t do nearly as much as they did…except eat. First of all, if you’re going to do a road trip to Santa Barbara (I live in Northern California), take a friend. 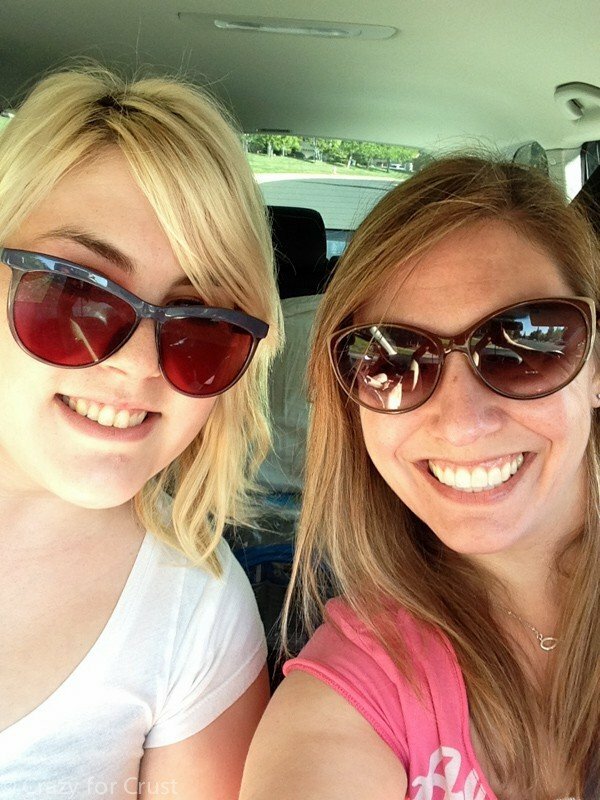 Hayley (The Domestic Rebel) did the drive with me, thank goodness. I’d never done a long road trip without my husband, so having her along was awesome! We stayed at a gorgeous home, the Opryland Estate. 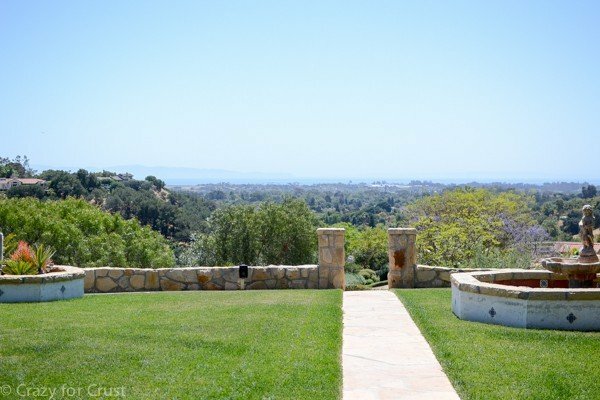 The ground and view were gorgeous! We got to the house early to check in and set up before all the other girls arrived. Our first meal together was a grilled cheese bar for lunch. 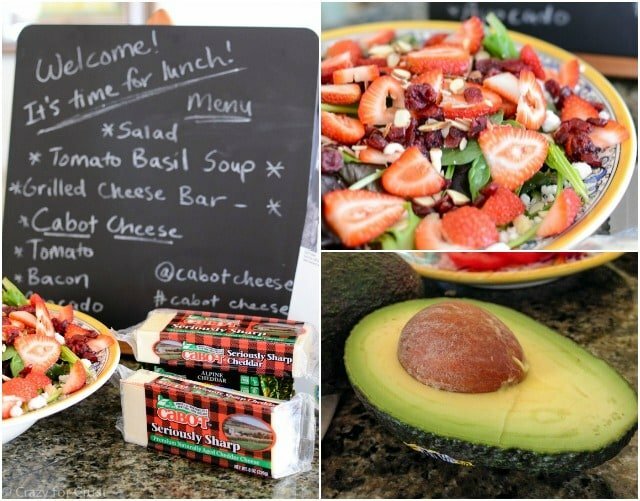 We made our own grilled cheese sandwiches with a selection of items like Cabot cheese, bacon, and California Avocados. After lunch we headed out to McConnells Fine Ice Creams. They don’t normally give tours of their plant but Michael Palmer, the owner, graciously showed us how their fine artisan ice creams are made. 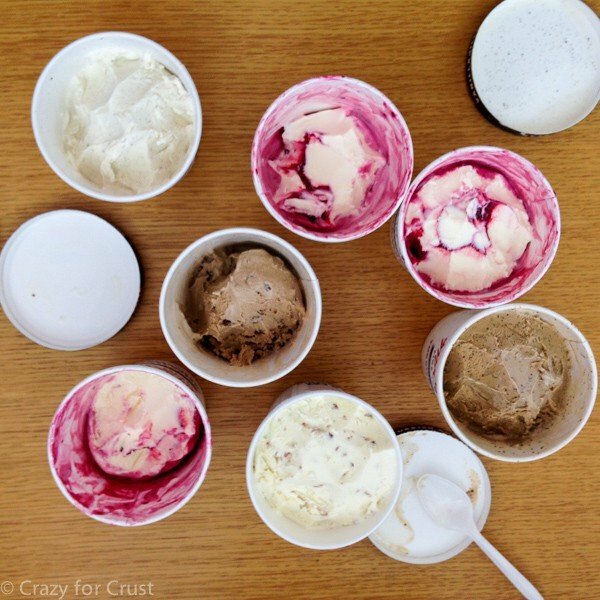 They are one of the only ice cream makers that’s also a dairy. The milk is brought to them and they churn out some of the most incredible ice cream I’ve ever eaten. We all got to wear hair nets. Aren’t we cute? 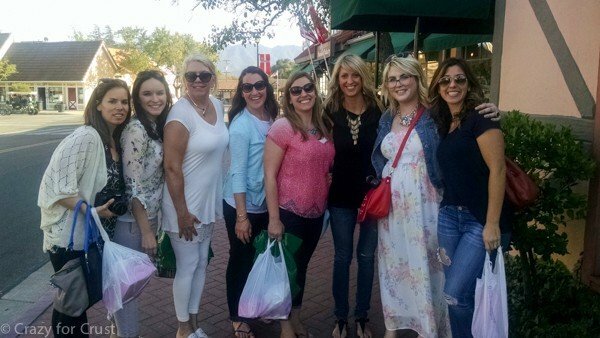 That’s Julianne, Joan (Chocolate, Chocolate, and More), Deborah (Taste and Tell), Jen (Yummy, Healthy, Easy), Krista (Joyful Healthy Eats), me, Lindsay, and Hayley. Speaking of McConnell’s, I found out that day that they have a partnership with Harry & David. Small world! 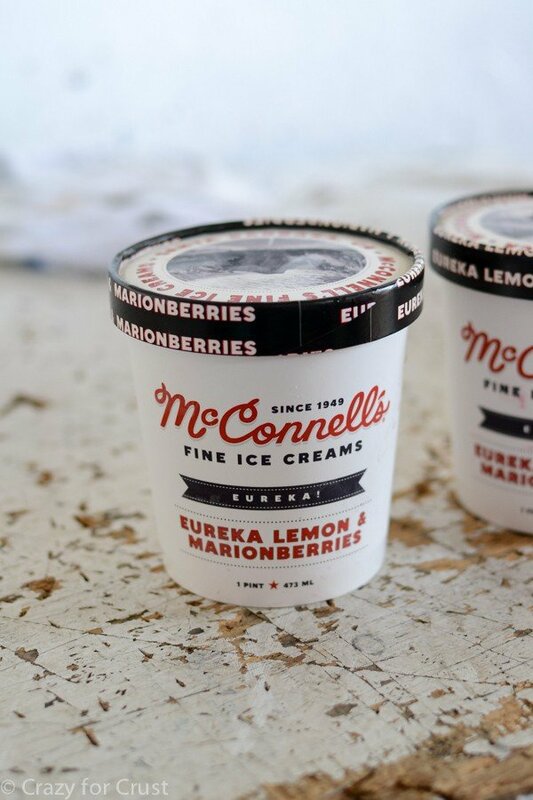 It was the marionberries that made me think of it. 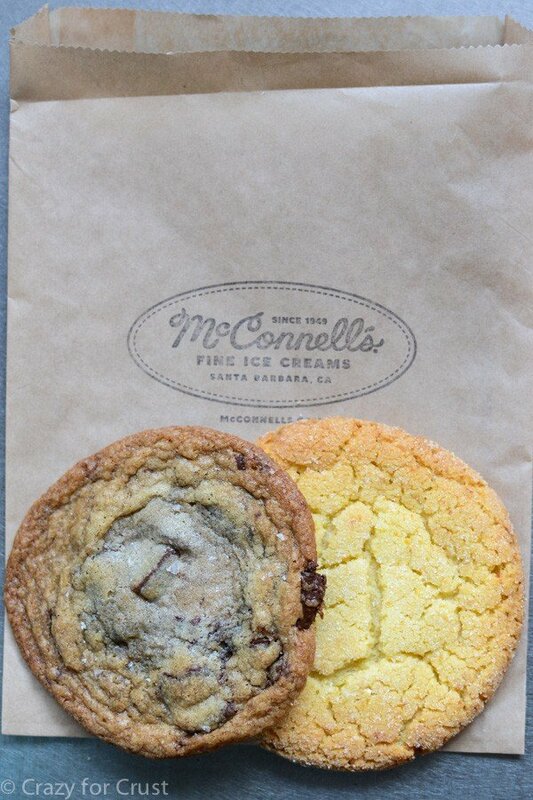 Then we headed over to the McConnell’s flagship store for more ice cream…and cookies! Dark Chocolate Sea Salt (OMG) and cornmeal sugar cookies (Double OMG). You need both. That night we relaxed with a taco bar, good wine, and friendship. If you’re ever in Santa Barbara, I highly recommend getting up early while the sun is still waking up. 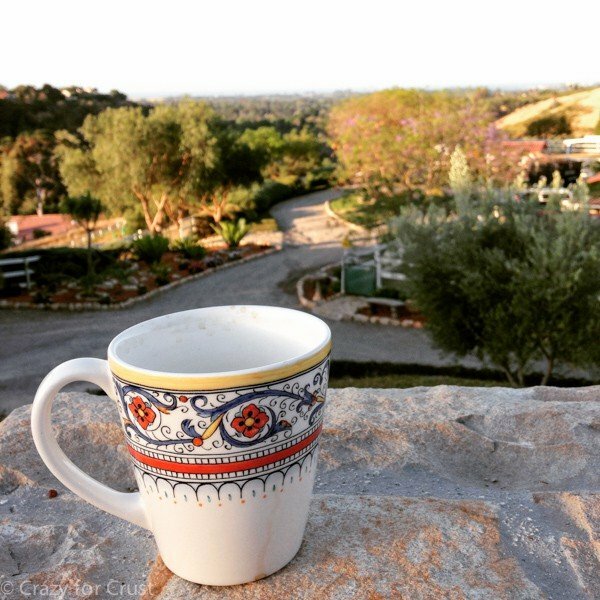 Have your coffee with a view. 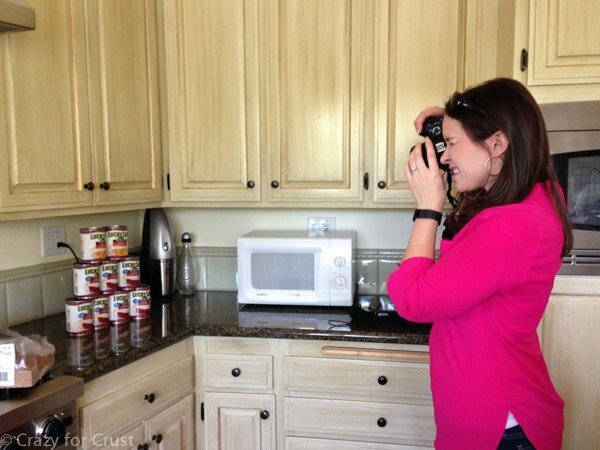 The best part about traveling with food bloggers? This is not only normal, it’s expected. We spent Saturday morning working and learning from each other. We interact all the time online but there is nothing really like getting together and seeing what someone does. We spent the morning learning about social media, SEO, and email subscriber lists. And pretty much everything else blogging related because if there’s one thing I’ve learned it’s that we bloggers cannot stay on topic. 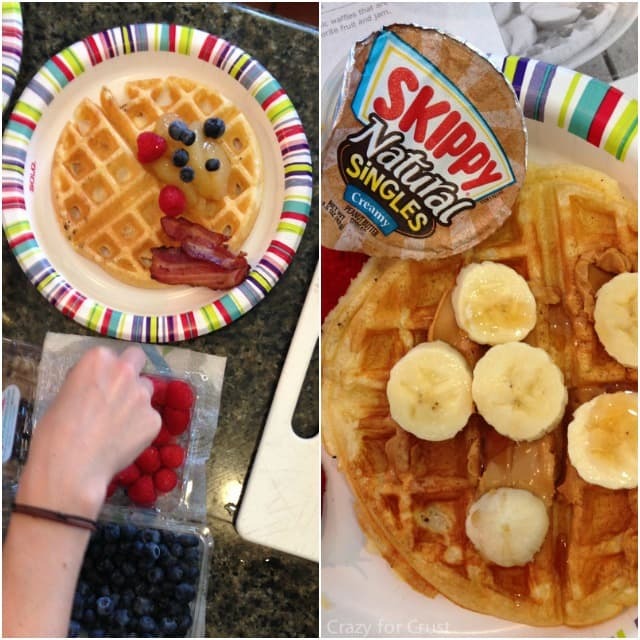 For breakfast we enjoyed a waffle bar including fresh fruit, Lucky Leaf pie filling, and Skippy peanut butter as toppings. 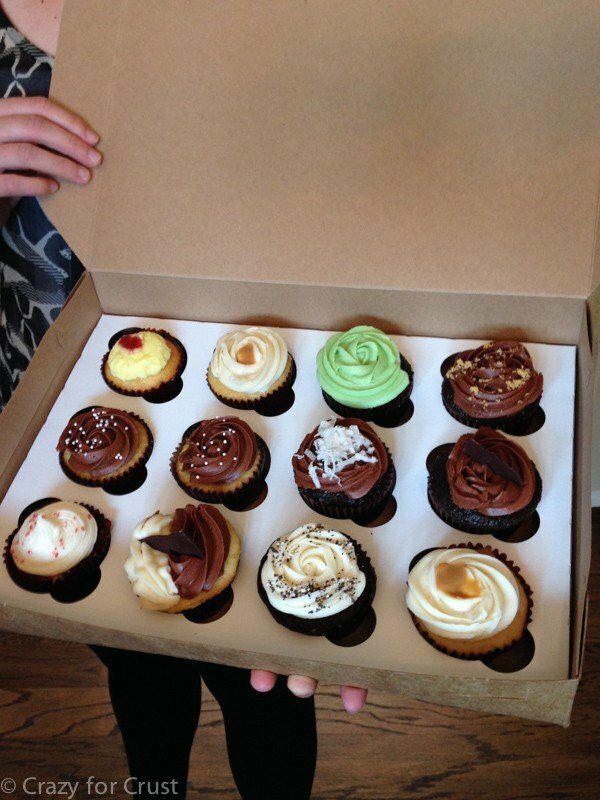 Then Best Food Facts sent us cupcakes! If you’re in Santa Barbara you should stop by the Whole Foods Market. They have a delicious restaurant inside. We got to enjoy a five-course meal prepared by their in-house chefs. 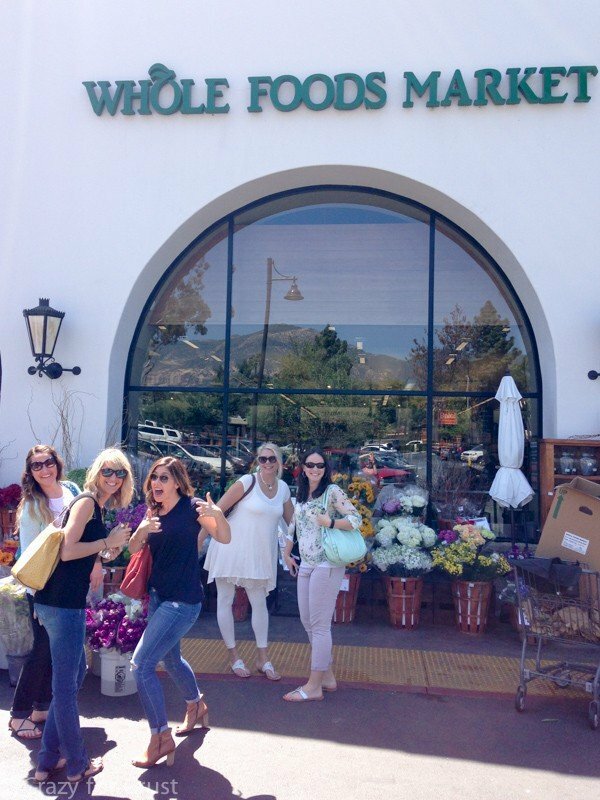 The Whole Foods also sells locally grown and created products so for a good look at what the California Central Coast can offer, be sure to check them out! When you’re visiting Santa Barbara you MUST go to Solvang. I haven’t been to Solvang since I was a kid road tripping in an RV with my parents. It was so much fun to go there as an adult. One of the things that the central coast is known for is wine. 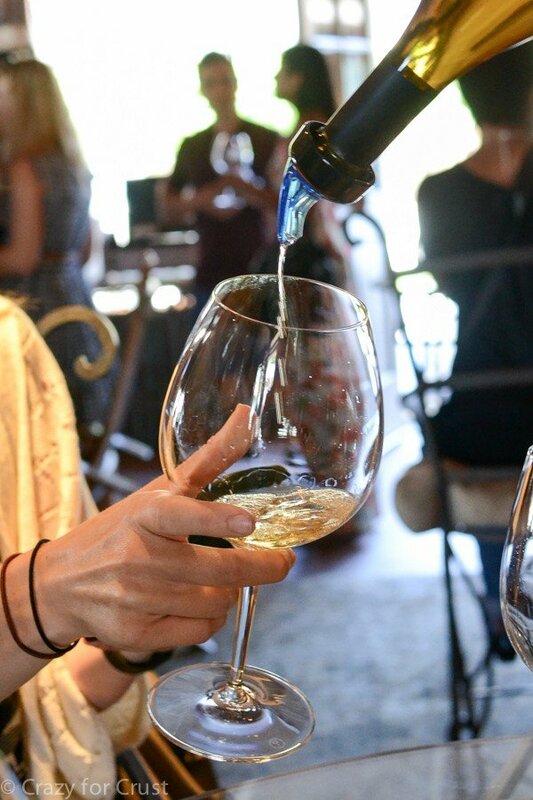 When in the area, you must go wine tasting. We opted for a tasting in downtown Solvang at the Presidio Winery. The chardonnay was very good! 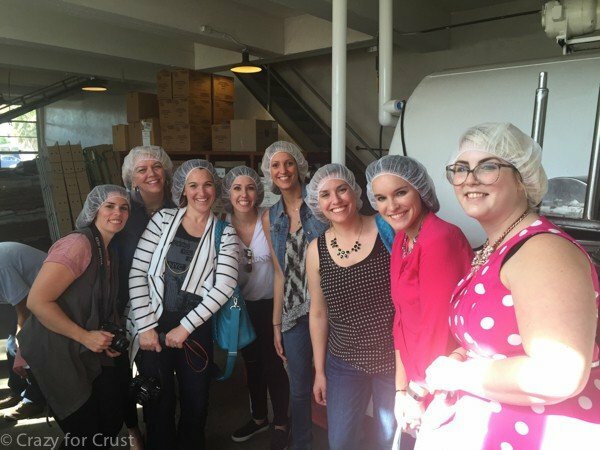 After wine it was time for a bakery tour because, well, that’s how dessert bloggers do Santa Barbara! 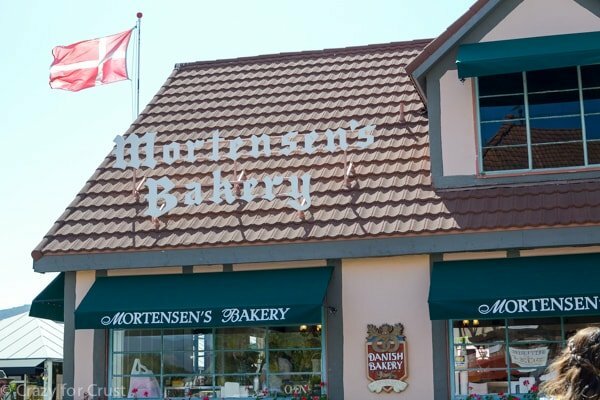 If you visit Solvang there are several bakeries to choose from, but Moretnsen’s Bakery is the best! They’ve been in business for over 40 years! The bakery cases are full of Danish cookies and pastries. I have fond memories of scarfing Almond Horns and Hats as a child. 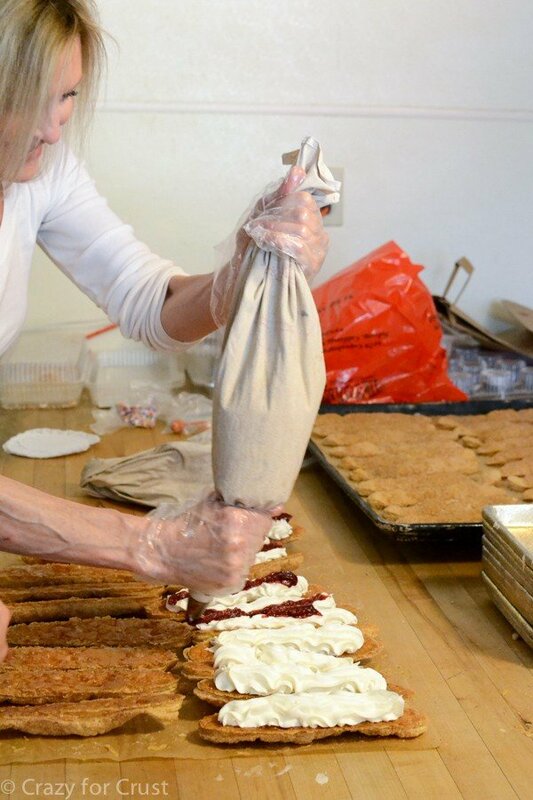 The bakery is a family-run business and we got to see one of the sisters in action making Danish doughnuts. The filling was the best swiss buttercream I’ve ever eaten. 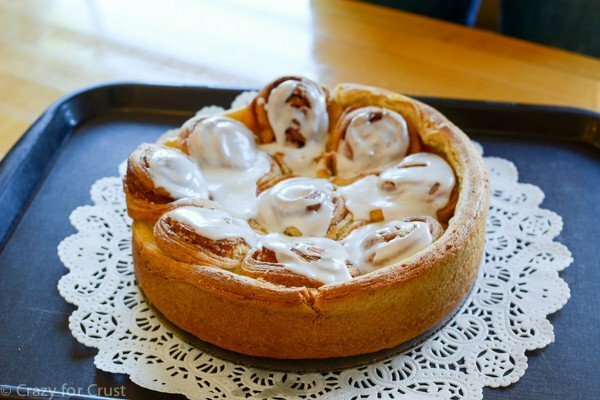 You guys, it was filled with almond filling. I wanted to eat it ALL myself! 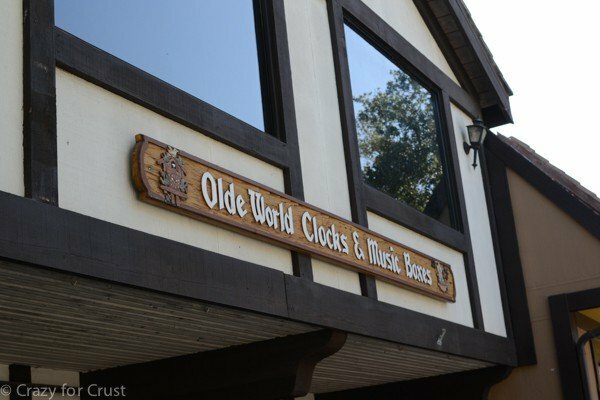 After our visit to the bakery, the other members of our crew headed to eat aebleskiver, but I had to do something for my mom and dad first: a visit to Olde World Clocks & Music Boxes. You see, my mom and dad collect clocks. Their house – every single empty wall space – is full of them. I’m not exaggerating!! Many of their clocks are cuckoos. I don’t even know how many they have, but it’s a lot. They’re my favorite kind of clock, actually. I have a few they’ve given me – my favorite ones are the colorful kind. 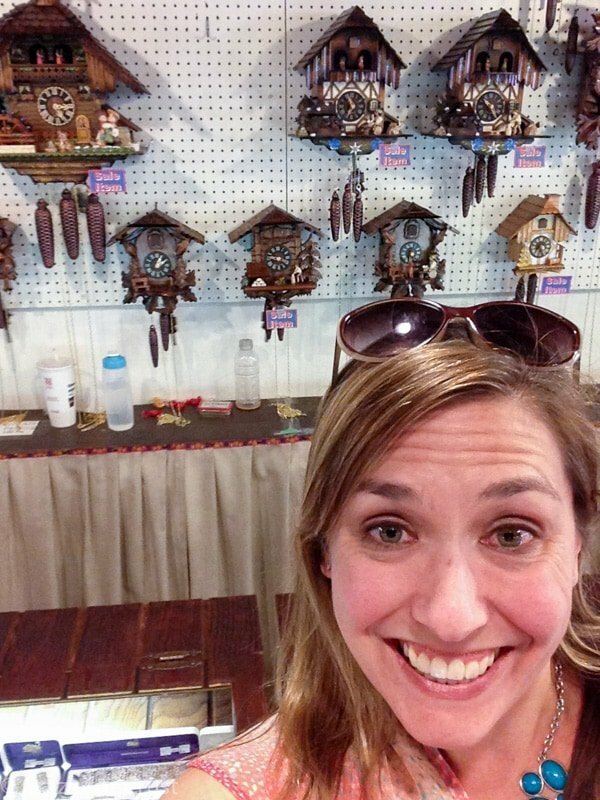 I had to take a selfie with the cuckoo clocks. The look on my face: Look ma! I’m in the clock shop without being bribed! After some souvenier shopping (be sure to visit Jule Hus, the Christmas store) we headed off to dinner at SY Kitchen in Santa Ynez. Their mixologist is amazing. I had the Valley Girl, which is a mix of Vodka, elderflower, mint, strawberry, lime, and vanilla. 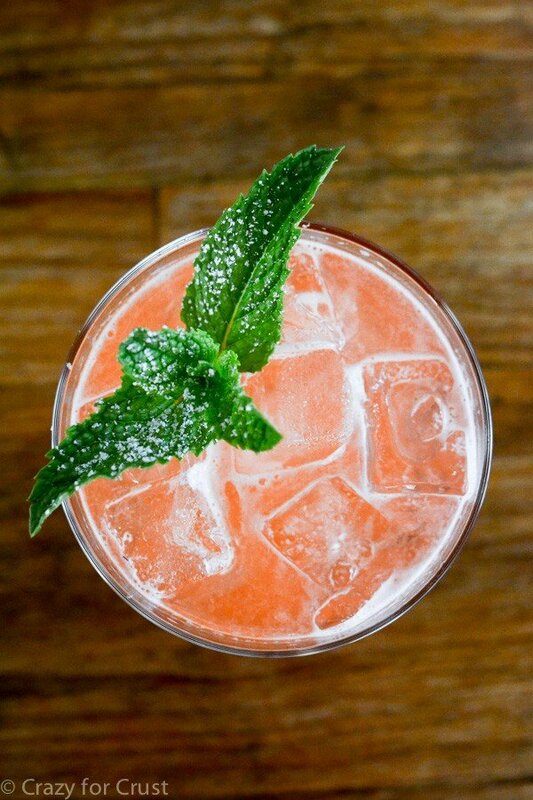 It wasn’t too sweet – it was the perfect cocktail. Our meal that night was one of the best meals I’ve ever had. Chef Luca is an artist. The pizzas, roasted artichokes, and the pastas were beyond belief. The mushroom pasta? Life-changing. Oh, and get this. Y’all know how picky I am, right? Well, you should be proud of me. That weekend I tried Salmon (pleasantly surprised – I’ve had it before and it was not good), beets (still taste like dirt), octopus, and artichokes. I deserve a picky eater medal, no? And then, sadly, it was time to leave. I learned so much from these ladies and it was amazing to get to know them better. We all interact online often, but it’s another thing entirely to actually hang out with them. Getting to know people on a deeper-than-blogging level filled up my soul. Thank you to everyone for a fabulous time. Love you ladies! I want to give a special thank you to our sponsors for the weekend. Lucky Leaf helped cover the lodging for the event and Best Food Facts covered all our in house food. Additionally, our fun swag bags included donations from Skippy Peanut Butter, King Arthur Flour, Wilton, OXO, Sabra Dipping Company, Cabot Cheese, California Avocados, and Baileys Creamers. Wow, I am so glad you had an amazing time! It looks so fun, especially surrounded by like-minded people. Sounds like a perfect way to enjoy your state foodie style! Wow, looks like you girls had ton of fun! So jelly…. Thanks for sharing fun photos, Dorothy! This looks like so much fun! What a great time to taste so many different foods and hang out. Those giant cookies look so delicious! I wish I was there so much more after seeing this 🙂 What a huge post and incredible guide!! All these pics…awesome! I’m madly envious of this entire experience! Seriously. It looks like a dream weekend! And that cookie. And all the food. And wine. Aaaaaah. Love your recap! I hadn’t seen the pic with the hairnets yet 🙂 It was such a fun weekend, time to go back! Looks like a fun weekend! I’m sure it’s nice to hang out with your “coworkers” 🙂 Love all the food! What an awesome weekend! You guys did so much, it makes me want to visit Santa Barbara!